The BMW-inspired Cup Holder by Maclaren is a must-have stroller essential. Available in classic black, the sleek and sturdy design affixes easily and securely to almost any stroller frame. The Cup Holder allows parents to be hands free whilst on walks. 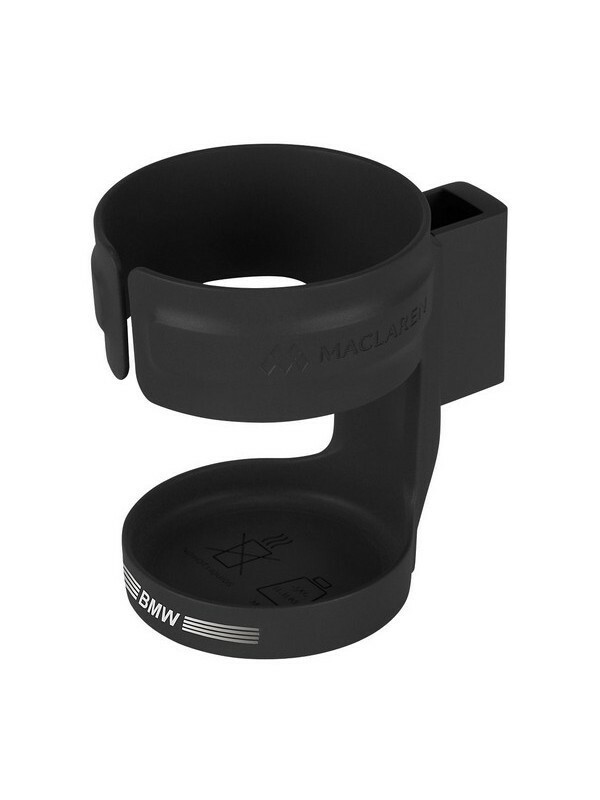 The measurements of the Cup Holder are as follows: the cup circumference is 7.5cm/2.9in, the width including the clip is 10cm/3.9in, and the height is 10.5cm/4.1in.